The Royal Netherlands Academy of Arts and Sciences has appointed Professor P.M.G. Emmelkamp as the new Rector of NIAS. Paul Emmelkamp succeeded Professor Aafke Hulk on 1 November 2013. Paul Emmelkamp is a licensed psychotherapist and clinical psychologist and since 1996 professor of Clinical Psychology at the University of Amsterdam. He attended Utrecht University where he received his PhD in 1975. Before moving to Amsterdam he held positions at the University of Groningen, where he was appointed as professor in Clinical Psychology and Psychotherapy in 1986 and was Dean of the faculty of psychology. Paul Emmelkamp has contributed to a number of areas in clinical psychology, psychopathology and psychiatry. He has written and co-edited many books on research into a variety of clinical subjects. Further, he has written over 500 publications in peer reviewed journals or books. He is Editor of Clinical Psychology & Psychotherapy, editor of BMC-Psychiatry and serves on the editorial board of a number of journals in psychology and psychiatry, including Applied and Preventive Psychology, Journal of Anxiety Disorders, International Journal of Clinical & Health Psychology and Psychotherapy & Psychosomatics. Paul Emmelkamp is a member of the supervisory board of ‘VICTAS’, a large treatment center for addiction, and of the supervisory board of ‘Slachtofferhulp Nederland’ (Victim Support Netherlands). 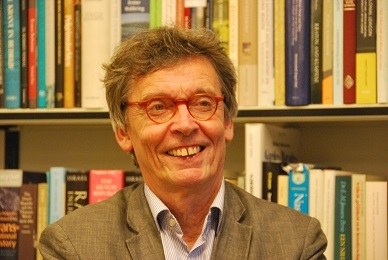 Paul Emmelkamp has received a number of honours and awards, including membership of the Royal Netherlands Academy of Arts and Sciences, an honorary membership of the Dutch Association of Behaviour and Cognitive Therapy, and the Senior Heijmans award for his lifetime achievements from the Dutch Institute of Psychologists (NIP). In 2006 he was awarded a distinguished professorship (‘Academy Professor’) by the Royal Netherlands Academy of Arts and Sciences. Over the years Emmelkamp has published widely on the aetiology and treatment of anxiety disorders. He has published therapy-outcome studies on adults with work-related distress, substance abuse disorders, personality disorders, depression, post-traumatic stress, panic disorder, agoraphobia, and obsessive compulsive disorder; on children and adolescents with ADHD, conduct disorder and anxiety disorders; and on the elderly with anxiety disorders. His most recent contributions concern the application of information technology to the treatment of patients. Apart from his involvement in the evaluation of psychotherapy through the Internet, a major contribution in this domain consists of the development and evaluation of controlled clinical trials on virtual reality exposure therapy for anxiety disorders. Other research interests include forensic psychiatry, intimate partner violence, experimental psychopathology, attachment/parental rearing style and psychopathology. Paul Emmelkamp has been a NIAS Fellow himself in 2004-2005. Besides working on a number of articles Paul worked at the NIAS on two monographs, both translated in several languages, including Dutch, Italian, Japanese and Swedish: in collaboration with E. Vedel, Evidence-based treatment for alcohol and drug abuse (Taylor & Francis, 2006) and, in collaboration with J. Kamphuis, Personality disorders (Taylor & Francis, 2007). Now Rector of NIAS Paul Emmelkamp will continue his research as Academy Professor at the University of Amsterdam for one day a week.